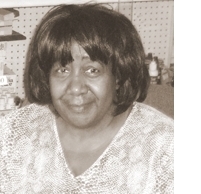 Ms. Loquator B. Dinkins started feeding hungry people in the south suburbs of Chicago in April of 1974 when she noticed that people were searching through the dumpster out back of her restaurant in Harvey for discarded food. Ms. D began inviting these hungry folks in for a meal after the restaurant closed for the day, and, as word spread through the community, she was soon operating a food pantry out of her home on Maple Lane in Markham. 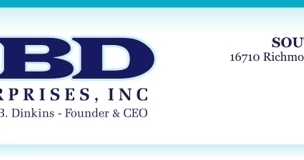 LBD Enterprises has had several locations in the south suburbs over the years and is presently located at 16710 S. Richmond Street, Unit #4 in Hazel Crest, Illinois. LBD Enterprises has partnered with many different organizations in its 35 year history, including the Marine Corps' Toys for Tots Program and Larry Jones' Feed the Children Mission. The one constant. however, has been the reliance on the goodwill of the people of Chicagoland to support Ms, Dinkins' mission to feed hungry children and their families. Whenever the community has needed outside help, whether it be because the lights were turned off due to falling too far behind in paying our electric bill or running out of food at the height of the recession in 2008, there have been good Samaritans of every race and creed who have come to Ms. Dinkins' aid in time of trouble to keep LBD from having to shutter its doors. 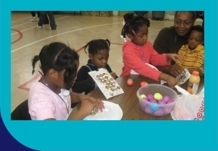 Today, LBD Enterprises/South Suburban Toys for Kids continues to feed the hungry. When food stores allow, over 5600 people a month come to us for sustenance. Unlike many other food pantries, we do not turn away needy people due to their zip code. In addition, we also provide gently used clothing and household goods to those who are in need (nothing is ever sold to our patrons- everything is given away) and distribute up to 10,000 toys around the Holidays. We are also starting after-school and weekend computer classes for children, to give those without computer access in their homes the opportunity to become computer literate. 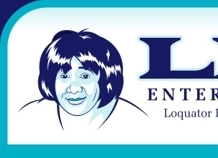 LBD Enterprises, Inc. is a 501(c)(3) tax-exempt organization with nonprofit charitable status with the IRS.